Taking care of your skin as you're getting older is something I've really made the effort with in recent years. My mother always installed the importance of it within me as I was growing up so I have quite a collection of magic lotions and potions to keep my skin smooth and plump. One thing I rely on the most are facial oils and it's something I have spoken about a lot on my blog and social media and I owe getting my oily skin under control to them too. 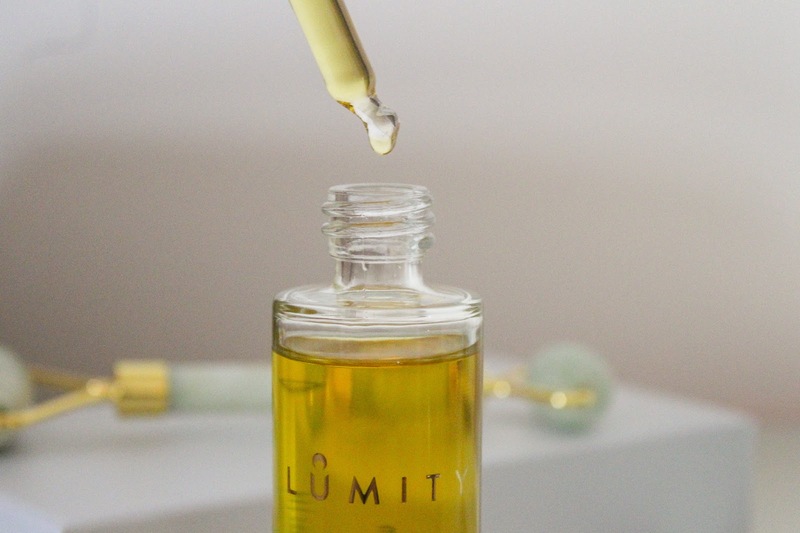 Lumity is a brand I discovered this year and with promises of visible results with years of research behind it, I couldn't wait to try the brand. The woman behind the brand is Sara Palmer Hussey PhD, Cambridge University graduate and Lumity creator. She wanted to solve the question of growing older but by maintaining the energy and radiance of youth. 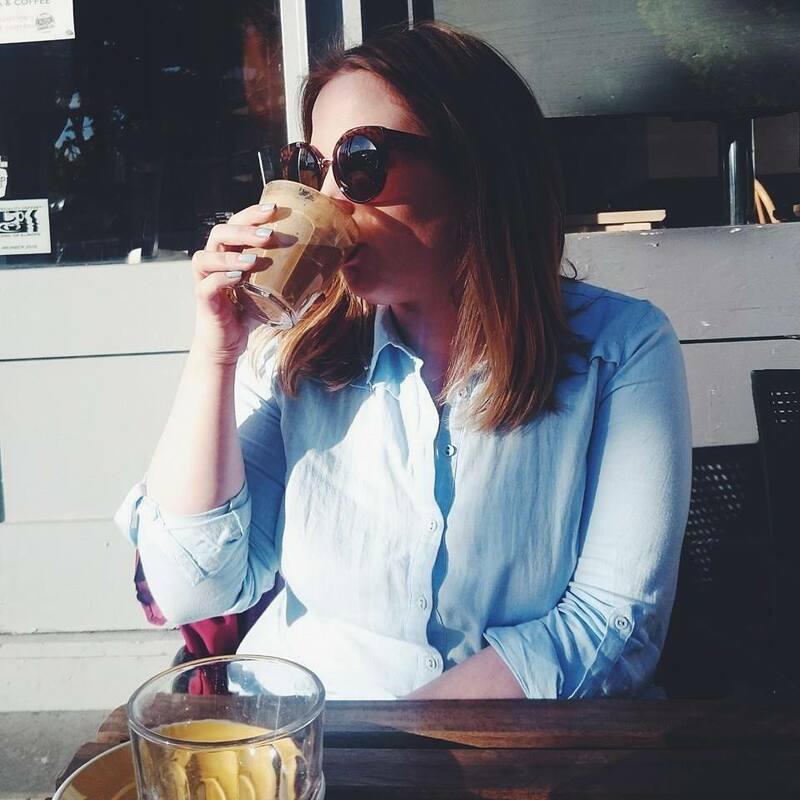 Well after years of research focused on aging, Sara created a supplement that would effectively sustain a healthy functioning of the whole body through the years. 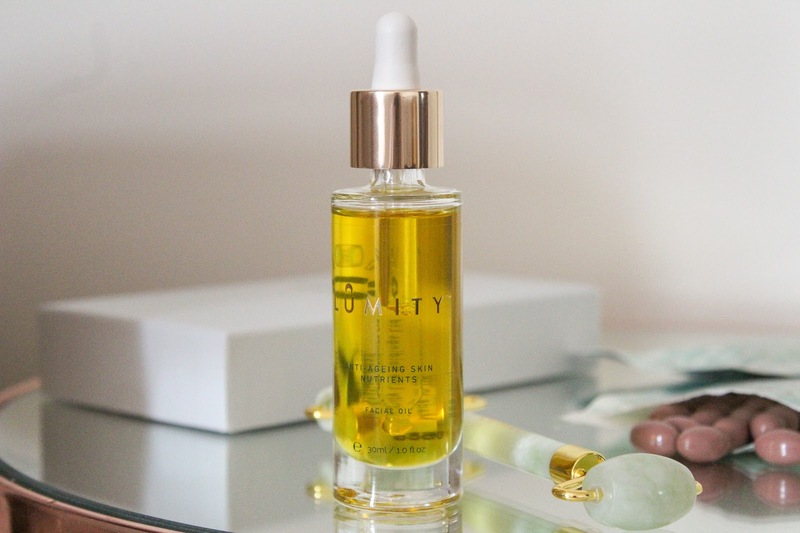 Alongside the day and night supplements, there is the Anti-Ageing Skin Nutrient Oil which is what I've been using and it's such a beautiful product. The Anti-Ageing Facial Oil (£60.00) is a premium oil designed to provide all the nutrients our skin craves. It contains a blend of 32 ingredients all of which have been identified for the optimal care our skin needs meaning you're left with smooth, plump and moisturised skin. The ingredients are a mix of nourishing plant oils, skin loving extracts and therapeutic essential oils. It's 100% natural, containing only the purest and natural plant oils with no toxic or synthetic ingredients. It's perfectly luxurious, just dispense half a drop of the oil into the palm of your hands, warm then apply by pressing on to your face and neck morning and night. I use this after I have fully cleansed and dried my skin. It smells beautiful thanks to the infusion of eight carefully selected essential oils and my skin laps it up. I haven't been using it that long but I've been suffering dry skin on my forehead recently and using this has really helped. My skin just feels so much happier and more moisturised, I think I was using the wrong facial oil previously which wasn't helping my dry skin and switching to this has made such a difference already. This Mother's Day, Lumity Life have a special offer which would make the perfect Mother's Day Gift. 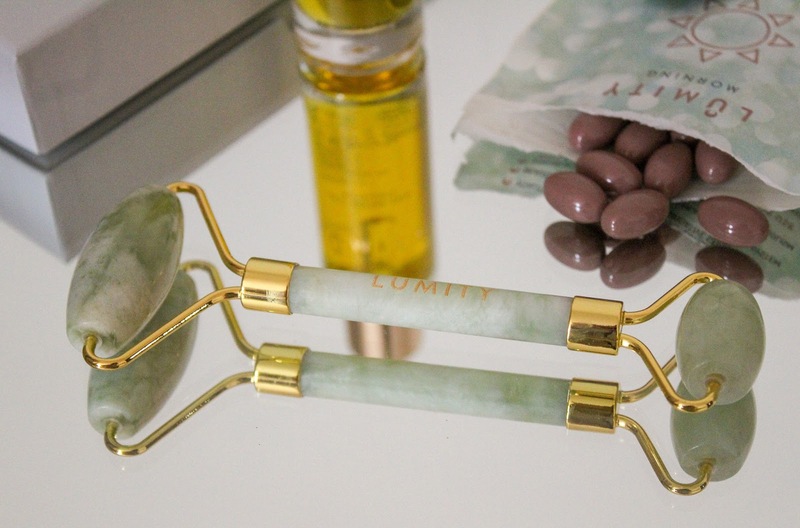 When buying the Lumity Anti Ageing Facial Oil you'll receive a free Jade Facial Roller worth £25.00! 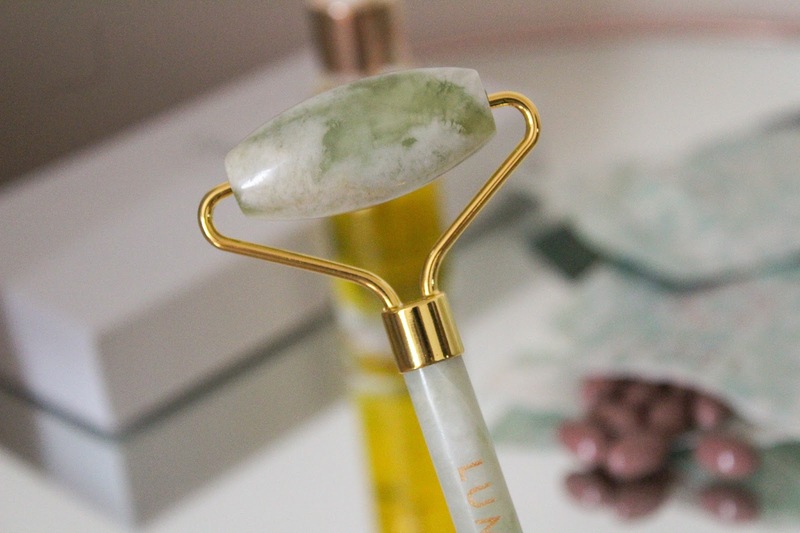 The jade roller is an essential for perfect skin and adding it into your routine is effortless. 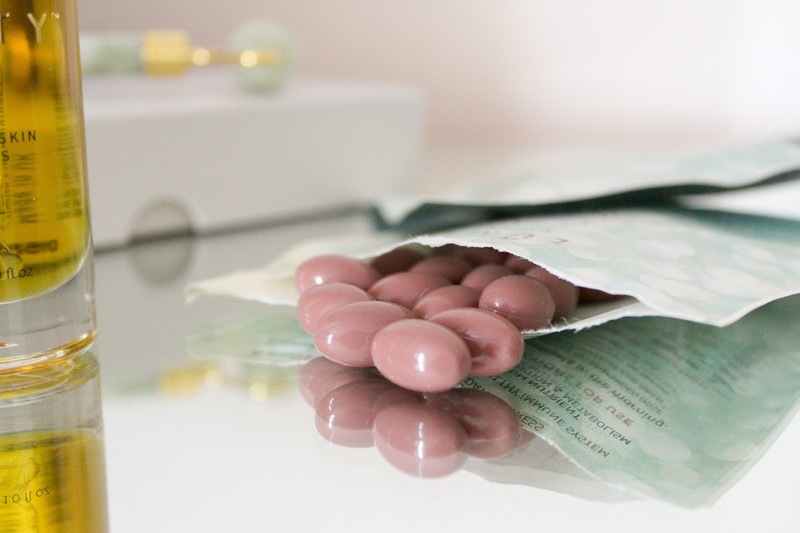 I've recently been using a rose quartz roller but have wanted to try the jade roller too, I'm still getting to grips with them but rolling on your facial oil with one just feels amazing on the skin. 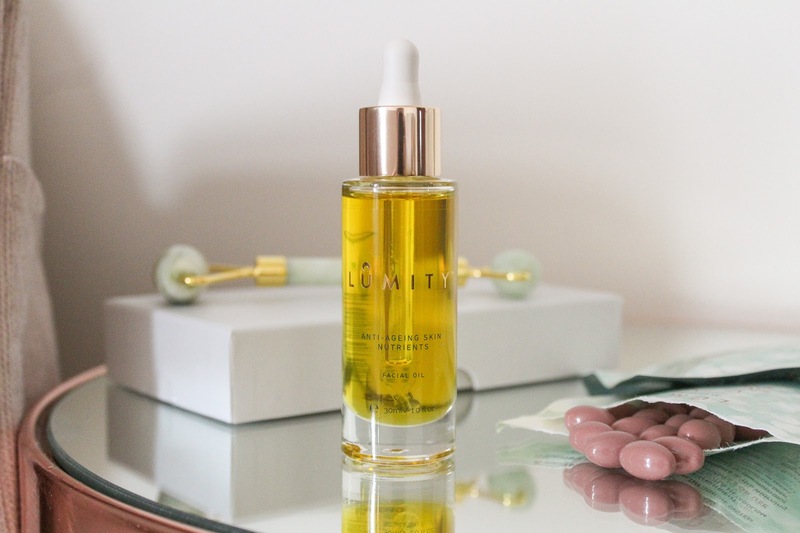 If you're totally new to facial oils, Lumity Life is a brilliant place to start. Your skin will be looking incredible in no time at all by just adding one simple step to your skincare routine. 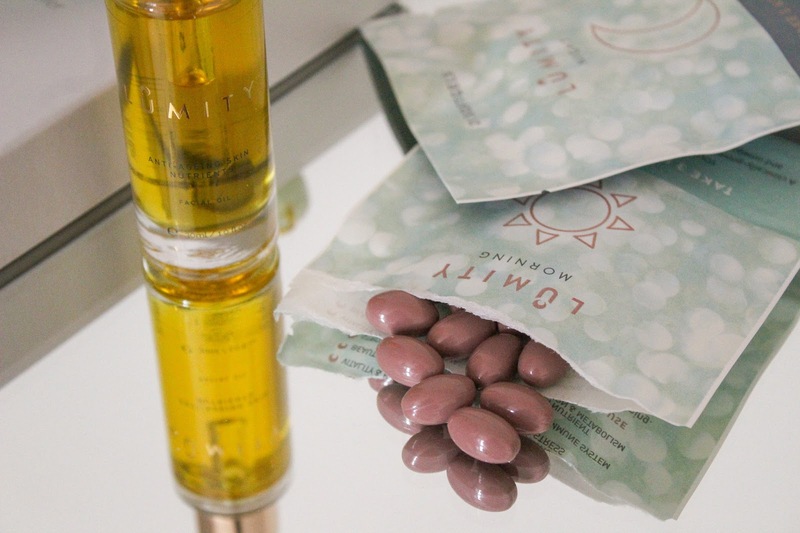 Have you tried Lumity before? What's your go to facial oil if you use one already? This is a paid partnership with Lumity - see disclaimer. Oh wow they all look incredible! I love the look of the roller especially, it looks stunning. Oh wow! This sounds fab! I adore a good oil. I've never heard of this brand but I love the sound of the roller! I'm 26 and only this year have I realised that I need to take better care of my skin for the long run! Oooh this looks and sounds absolutely amazing! I've heard quite a lot about this product too! Really want to try out a Jade roller.